Welcome to the Last Homely House, the Elven Kingdom of Rivendell. 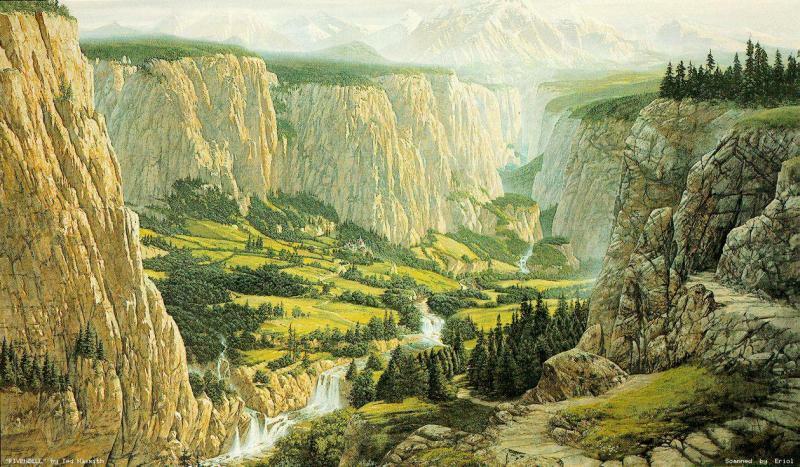 Ruled by the Elves, Rivendell is one of the most beautiful places in Middle Earth. Elven Magic protects it from the Shadow of Sauron. Elves are the longest lived race in Middle-Earth. It takes a long time for an Elf to grow into adulthood, and it's going to take a while for you to gain rank as an Elf too. If you're dedicated enough, though, you can join the kingdom of the Elves. Elven Child: Please write and submit a bio. Elven Youth: Three roleplays of at least thirty posts each and thirty days of active roleplaying on the site. Adult: Two additional roleplays of fifty posts each and sixty days of active roleplaying on the site. Elder: One additional roleplay of one hundred posts, and ninety days of active roleplay on the site.